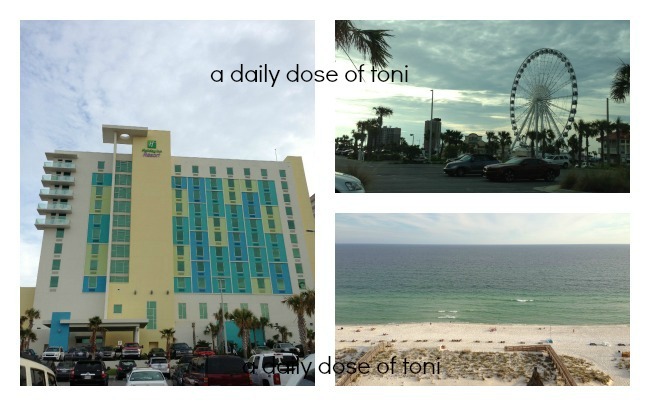 The Holiday Inn Resort Pensacola Beach is a great place to head for a staycation or vacation. Located on the gulf side of Pensacola Beach on the main strip it’s the perfect place to bring your family for a night….or a few. 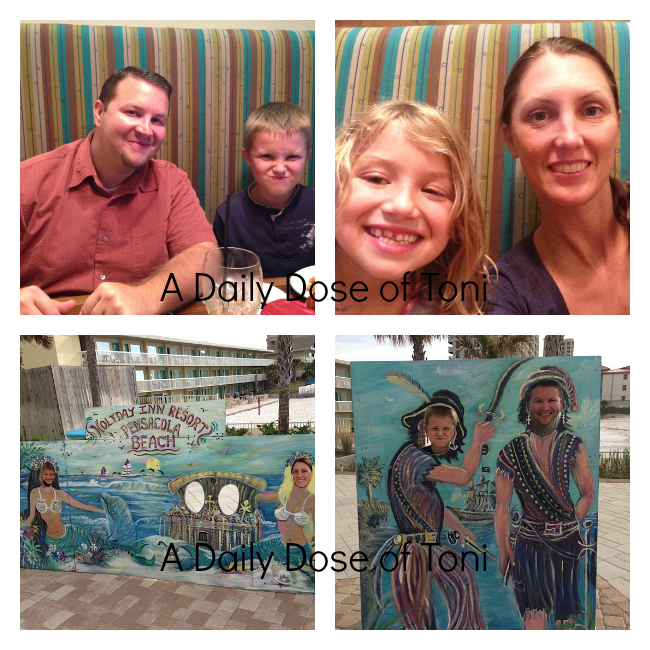 Recently, I was hosted by the Holiday Inn Resort Pensacola Beach for a weekend stay. From the moment we walked through the doors the friendliness of the staff made me feel right at home. I have never been in a hotel that had staff as friendly as they were at this hotel. I immediately fell in love with the color scheme of green, blue and yellow. 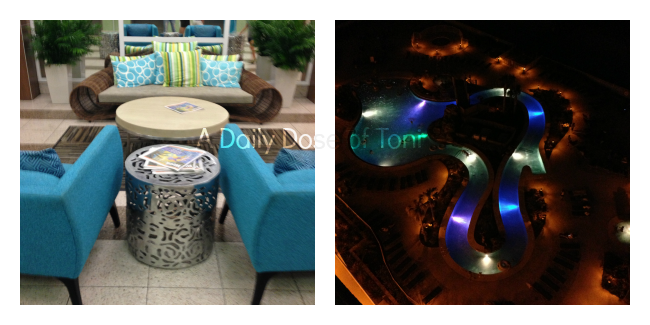 Definitely helped in giving it a very beachy/island feel, both inside and outside the hotel. After getting all checked in, we headed to our king gulf front room. With soft, serene colors and decor this is definitely a room you can relax in. It just feels like the beach! With a king bed and a couch that was a pull out bed, it was perfect for the four of us (my oldest decided to stay home. Had he come it might have been a wee bit crowded in this particular room, but they do have suites that would have been perfect. 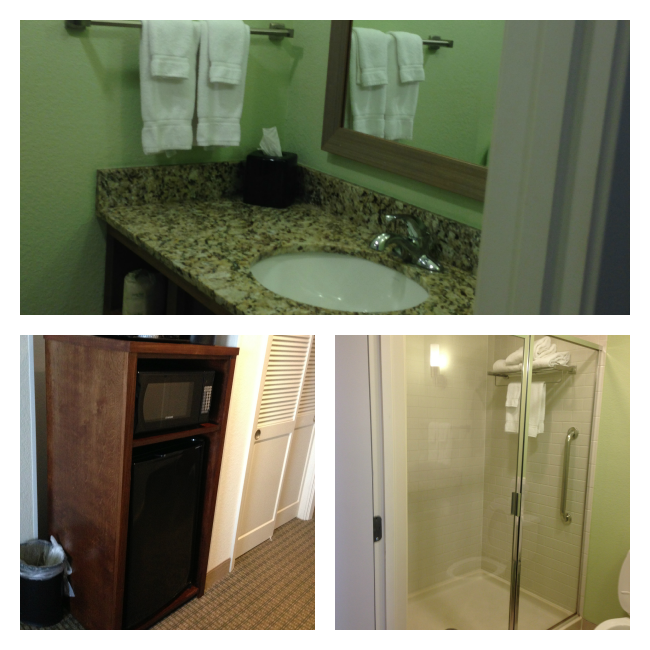 The room also has a mini-fridge and microwave in room. We used it for our sandwich ingredients and small microwaveable meals, which is a great way to save money…..for souvenirs of course! 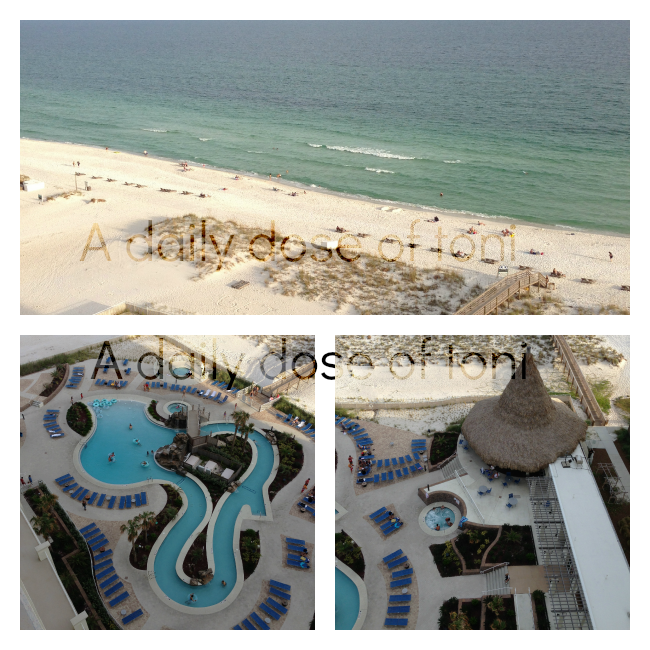 What I love about this hotel is no matter if you are gulf or island side the views are great on both! Kids and adults alike, should not get bored because there is much to do. Enjoy a swim (or float) around the lazy river, enjoy the indoor pool, catch the pirate or mermaid show (during the warm seasons of course), go to the arcade or head out to the pool weekend nights for a “Dive-in” movie (certain seasons). Take a moment to relax in a chair by the pool, take a dip in a hot tub, stroll the beach, or sightsee on the island. With a TV and DVD player in this room, you can pick up movie and have a night (or day) in. The suites boast a second tv, playstation and bunk area for kids. Perfect if you’ve had too much sun or the weather is not so good. For those of us who may have to take a moment to work while on our vacation (a bloggers work never ends) they offer free in room and on property wi-fi. On site restaurants like Riptides, as well as many other local favorites within walking distance, the Holiday Inn Resort Pensacola Beach is prime location for your upcoming vacation. 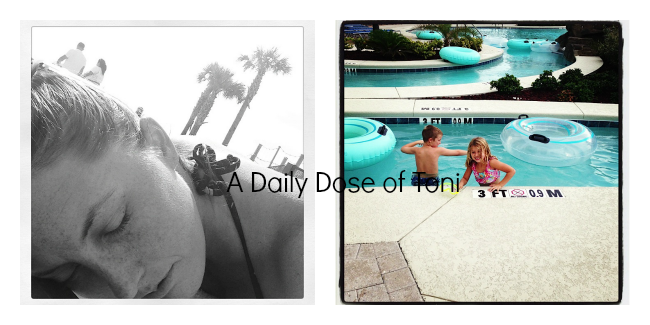 ***Thank you to the Holiday Inn Resort Pensacola Beach for bringing us out for the weekend. 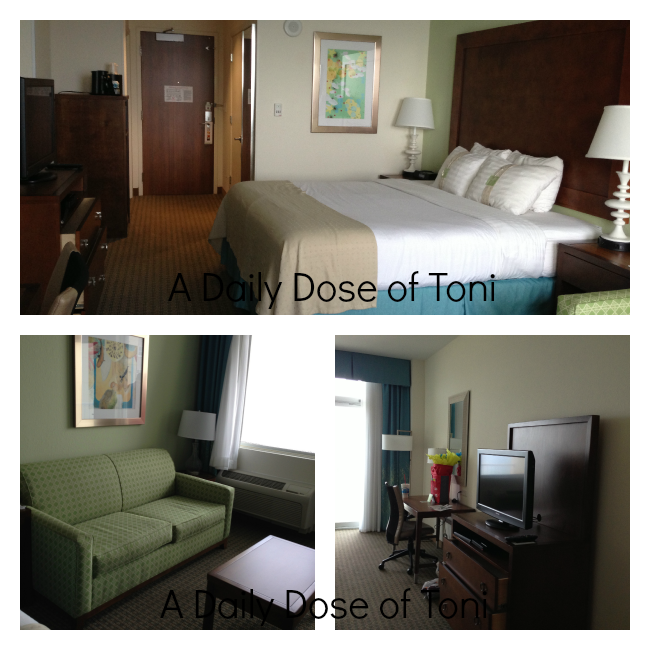 I received complimentary stay for posting purposes, views express are my own and never influenced in any way. For more please see my disclosure under the PR Friendly tab. On the beach is a great place to stay LOL! Such a beautiful resort! Would love to check it out one day since it is only about 3 hours from me! I could definitely handle seeing that view every day, that’s for sure. That resort looks like pure bliss. What a gorgeous hotel! I have always loved the Holiday Inn, they make it so affordable to see the country! Oh that pool is amazing! I love the finishes in the hotel rooms too! That looks like a beautiful place to stay, I love that area! What a perfect weekend getaway. 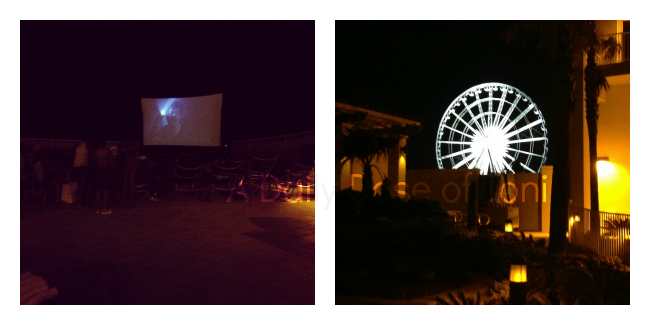 A little fun, a little rest and a beautiful location! Their pool looks amazing! Love Pensacola Beach. Miss living nearby. I love the view from your room and the fun events they have going on. It looks like a wonderful place to stay! Aw man that looks great. The rooms look so cozy and I love the shape of the pool. Oh their pool is so awesome! I wish I was swimming in it right now. This hotel looks amazing for kids and adults! It does have a great view! I also like the colors of the wall in the rooms, somthing other than white or tan, it has a more homey feel. Thanks for the review and photos.